Pink gin has never been more popular—and there are plenty of ways to shake up your own rosy-hued cocktails at home. Here are five creative (and delightfully pink) cocktail recipes to try. 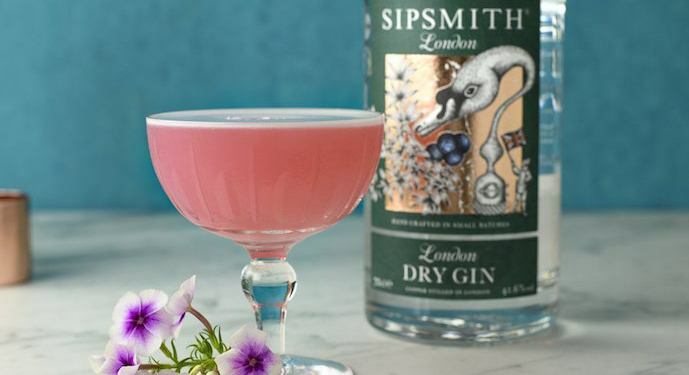 While today’s pink gin infatuation may be fuelled by Instagram, all you have to do is browse through the history of pink gin to discover that sippers have been enjoying rosy serves for centuries. From beloved classic cocktails to contemporary innovations, we’ve picked five of our favourite pink gin cocktails to celebrate the current craze. Fancy a playful twist on a G&T? 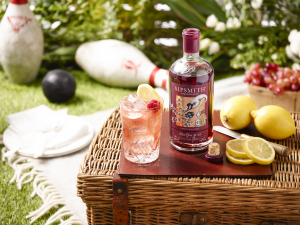 With its rich, plummy hue, Sloe Gin & Lemon Tonic is an irresistible pink gin cocktail. Fill a highball up to the top with ice and add the Sloe Gin. Top up with the lemon tonic or bitter lemon and stir gently to mix. Garnish with a lemon wedge. The Clover Club is proof that sippers have been enjoying pink gin cocktails for centuries. Taken straight from the gin history archives, The Clover Club is proof that pink gin has been popular for quite some time. After all, this sweet and berry-bright cocktail was invented prior to Prohibition. Add all ingredients, except the garnish, to an empty cocktail shaker. Seal and dry shake, until the egg white is emulsified and the berries have been pulverised. Open the shaker, fill with ice, seal, and shake again until cold. Strain into a chilled coupe glass and garnish with a raspberry. Have an occasion to celebrate? Think pink with a beautiful and festive Sloe Royale. A simple mix of Sloe Gin and Champagne, this fizzy serve was made for toasting. Add the gin to a chilled flute, and top up with Champagne. Toast with enthusiasm. Our Rose Syrup for Gin is one of the simplest ways to infuse your G&T with a new flavour dimension (and a new hue). This blush-coloured drink takes just seconds to prepare. Fill a highball glass up to the top with ice and add the London Dry Gin. Top up with tonic and add the Rose Syrup for Gin. Stir gently to mix, and garnish with the fresh berries. 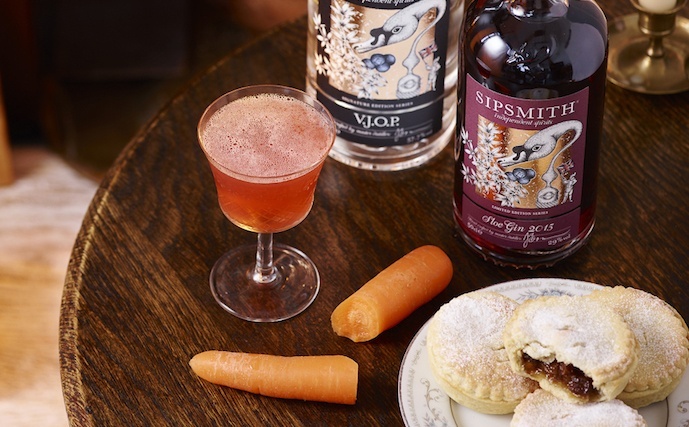 Make pink gin your go-to winter tipple: the Santa's Little Helper is a beautifully warming serve. If you think pink gin is best enjoyed during the summer, this decadent serve is here to prove otherwise. Fruit-forward Sipsmith Sloe Gin is amped up with warming VJOP to help see you through those winter nights. Add all ingredients to an ice-filled cocktail shaker, and shake well. Double strain into a chilled glass.